The Langrisser series is a storied one. It’s had many twists and turns in quality, but it’s always been worth exploring to find the compelling strategy that often rested beneath the surface. Long an import-only franchise after the sole Western release of the first game (localized as Warsong), it combined the love-it-or-hate-it art of Satoshi Urushihara with maps that were half-Shining Force fantasy combat, half-Advance Wars unit management. Oh, right. That’s not what I’m here to do. 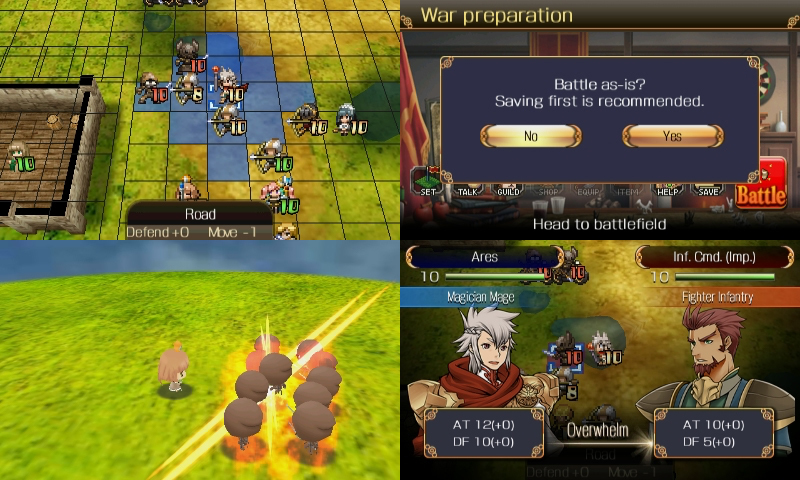 Langrisser Re:Incarnation Tensei is published by Aksys Games, one of those companies that is really fighting the good fight for fans of Japanese games. It doesn’t always release the most popular ones, either, instead choosing to take the time to give some titles a shot that you wouldn’t otherwise see. Like Moco Moco Friends! Or Shiren the Wanderer! Hey, what about Aegis of Earth? And sure, Zero Escape is a common name now, but that’s only because Aksys took that risk to bring 999 to the West. Okay, okay. I know. The thing. If it seems like I’m bracing for impact here, it’s because I am. 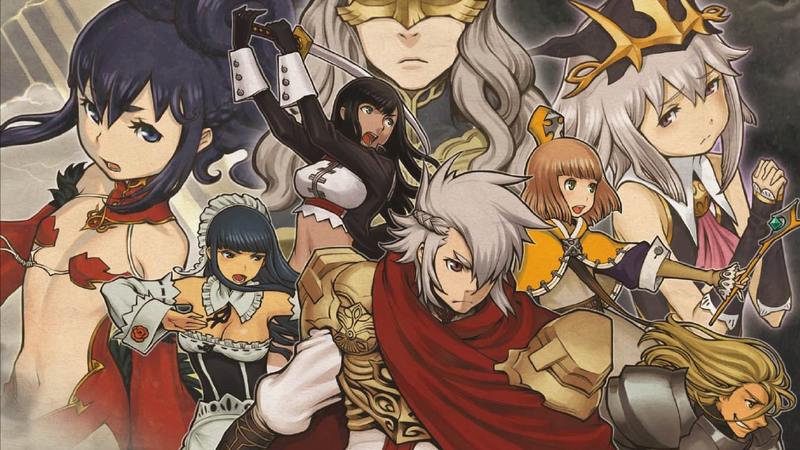 I like the Langrisser series a lot, and I like Aksys a lot. But here’s the thing: Langrisser Re:Incarnation Tensei has no redeeming qualities that let me even leave a sliver of a hope in your mind that it’s an enjoyable release. Langrisser Re:Incarnation Tensei gives quite an auspicious first impression: it makes the bizarre decision to use B as its confirm button and A for cancel, and you have to get far enough into the menus that you’d figured it out by brute force before it tells you this. The 3DS was not designed to be held like that, and while PlayStation consoles have a history of different choices in this regard, A has been the confirm button on Nintendo consoles for, well, a while now. Also, these menus happen to be simultaneously jagged and blurry. That’s because — yep — the game apparently doesn’t show things at the 3DS’ native resolution. From the very beginning, the game’s out to give you a headache just for looking at it. 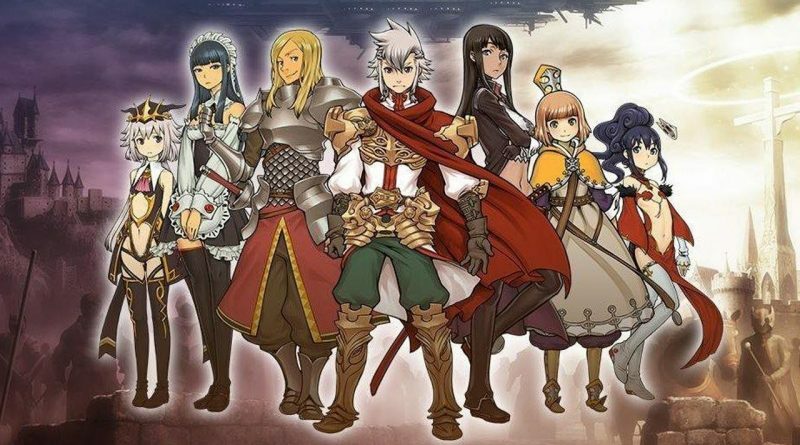 Langrisser Re:Incarnation Tensei has no redeeming qualities that let me even leave a sliver of a hope in your mind that it’s an enjoyable release. The art is… bad. It’s not just sketchy in a content and practicality sense; it’s poorly crafted along the way. 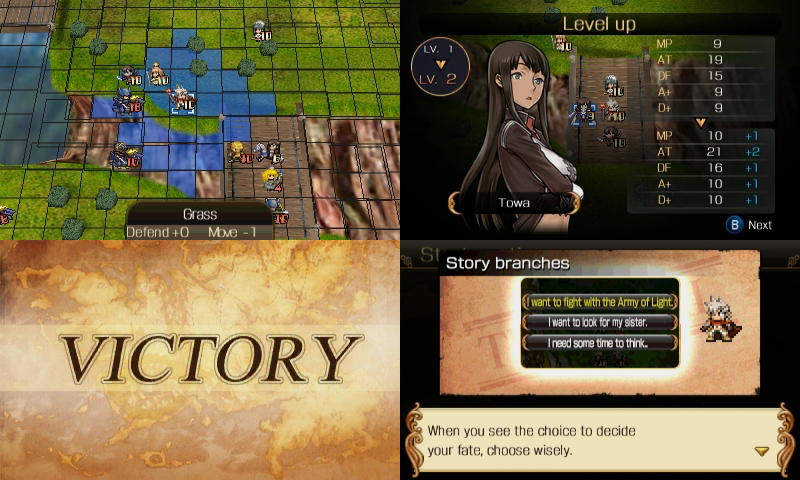 It doesn’t look like Langrisser, which is fine; Urushihara has a distinct style, and frankly it’s not for everyone. But it does need to look like a thing that doesn’t make me want to throw my 3DS far, far away from me every time I see it. The textures are a muddled mess — oh, and sometimes they render above your movement range, leaving you to guess where you think you can move and hope it works — and the map sprites, which would be a rare unmarred element of the game, end up ruined by the resolution issues. The battle animations are a joke. At least I hope they are, because they’re slow chibi semi-animated scenes that look ugly in screenshots and get worse in motion. But at least that part’s not blurry? It gives your eyes a break from the blurriness, but the time these animations take and the inexplicably slow map movement make it even more painful to sit around and wait. The game shows you which unit is taking the next turn, as well as a series of them after that, but once you move your cursor, the only way to find whose turn it currently happens to be is a series of hunting and clicking until it lets you move someone. It’s a weird oversight, and one that comes up often if you lose focus during battles. And you’re going to lose focus: the maps are large and slow. 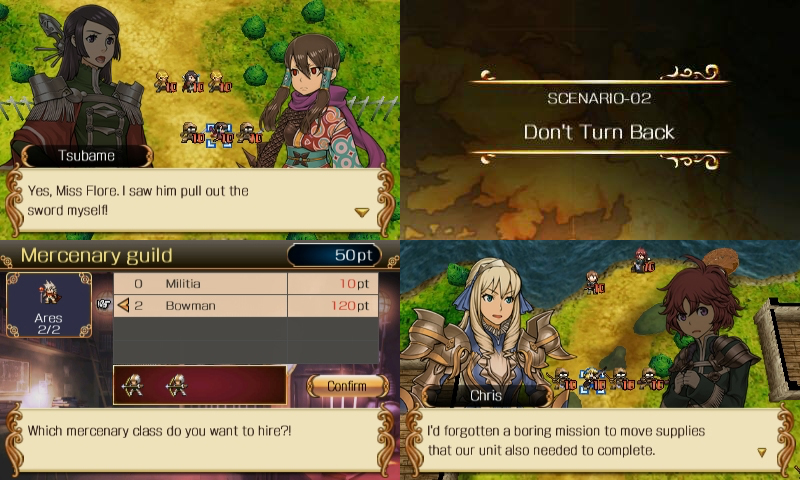 Often there are entire battles between other factions on the map, once a Langrisser idea to show that a larger conflict is happening but here just a tedious mess of plodding movements. You can save, take a break and return to the action fresh, except… no, you can’t do that. No battle saves or suspending, so keep that 3DS charged and clear your schedule. Some semblance of a whole would at least give the game a voice, but all of these rough elements are also just so poorly stitched together. Units spawn and de-spawn individually and slowly whenever story events happen, the interfaces for, well, everything seem like super-early placeholders that someone will actually design later, and it somehow can’t maintain a steady frame rate during its title cards of all things. And also the rest of the time, but seriously: title cards. Text and a background image. Localization can’t save a game that’s poorly written to begin with. 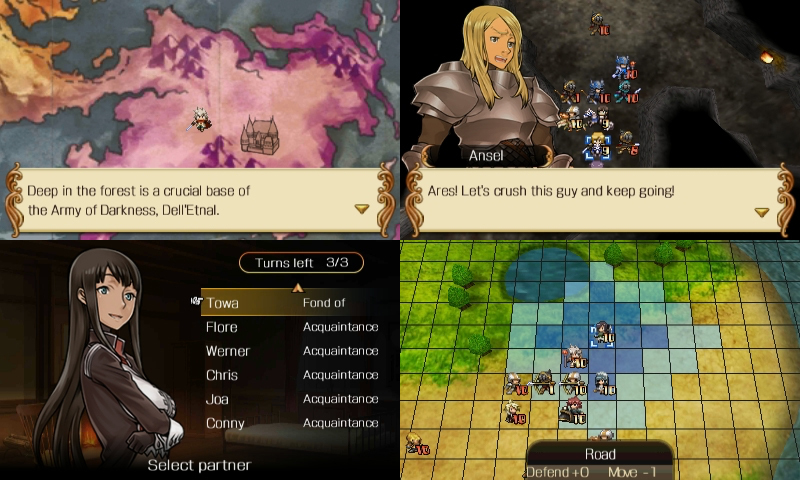 The first scene of the game builds up to this moment when the main character, Ares, takes up the sword Langrisser to fight foes. You do not see a sword for him to pick up, and if the class chosen through the pre-game survey doesn’t wield a sword, you’ll never see one. People kept marveling at an ancient sword of power while my blurry little dude shook a magic rod up and down. That’s because I was, as the game described, a “Magician Mage.” Who definitely never had a sword. People kept marveling at an ancient sword of power while my blurry little dude shook a magic rod up and down. There’s a store with items to buy and equip, and a place to purchase mercenary units to accompany your characters. How strong are these? What makes them different? The game isn’t for a second going to tell you. Your only hope is to read the name of the thing — which, again, is a blurry mess — and judge that with its cost to try your best. Ultimately, you just make blind investments and hope they pan out, which can’t possibly be what the developers intended. And here’s the saddest part of it all: with all of these flaws, there would still be a nugget of satisfaction — a reason to persevere — if the battles themselves were compelling. The classic series had to walk a careful path to balance the usefulness of unit leaders and mercenaries. While the ultimate goal was of course to take out the commanders, since defeating them also fells their lieutenants, there were reasons to deal with those first. Tensei doesn’t do anything to make you think twice. Mercenaries are meant to be stronger within a commander’s influence, but Tensei makes them nigh-unstoppable when near and practically useless elsewhere. 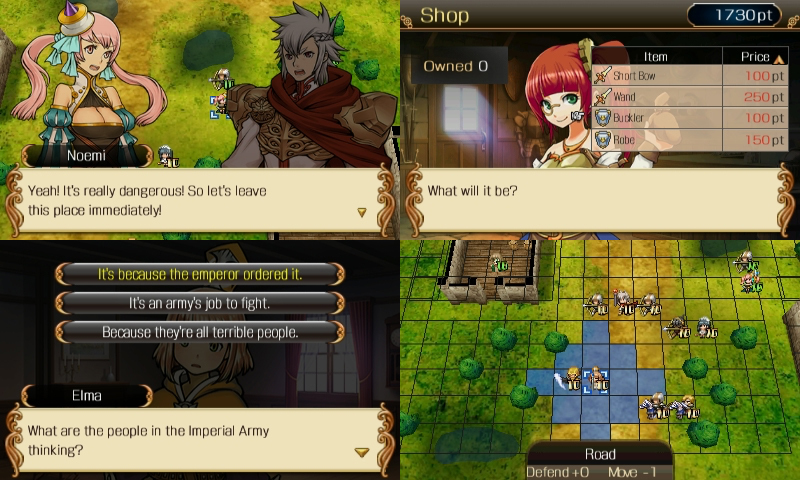 There’s no nuance to this Langrisser, the latest in a franchise that once thrived on how it made you think just a bit longer than Fire Emblem or Advance Wars. In fact, Tensei doesn’t really even think once? AI-controlled units regularly wade slowly through bodies of water to get to their destination in a straight line rather than going the much faster land routes. Enemies walk right up to you but don’t attack. No one stays in what could even charitably be called a protective formation. There are class change trees and story branches, which would be really cool to explore if these at all felt different or interesting. As it is, they’re irrelevant. Langrisser Re:Incarnation Tensei runs. It is a functional piece of software. That earns it a 2. I so desperately wish it provided any excuse to give it something better.